Post the roaring success of ‘Anegan’, looks like director KV Anand is gearing up for his next. It’s a well-known fact that he approached Vijay for ‘Anegan’ before Dhanush, but the deal dint happen owing to lack of dates. However, it looks like the director doesn’t give up easily. He has already approached Vijay with a fresh script and got the ‘Yes’ nod. Reportedly, this project is produced by Kalapathi.S.Aghoram and talks reveal that, Nayantara and Anushka Shetty will also play important roles in this project. Harris Jayaraj is buzzed to be doing the music. 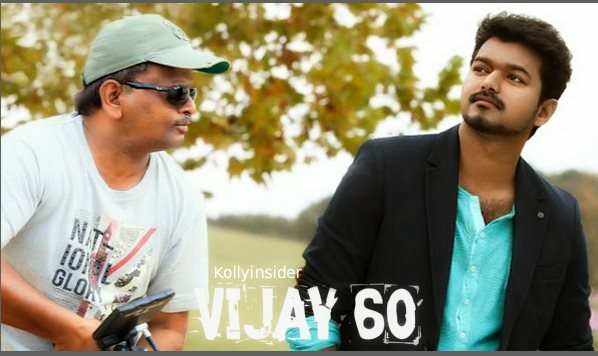 The official confirmation about the ladies has not arrived yet, however it’s confirmed that KV will direct Vijay60. Meanwhile, Vijay is busy with his next movie "Puli" directed by Chimbu Devan. It is a mega-budget project produced by Shibu of Thameen Films and PT Selvakumar. "Puli" is expected to hit the screens in July 2015. After the completion of this film, he will be heading for an untitled film directed by Atlee Kumar of "Raja Rani" fame. It is only after the completion of these two movies that Ilayathalapathy will be starting KV Anand's film. Looks like, its celebration time for Vijay fans.